Some rules are made to be broken. 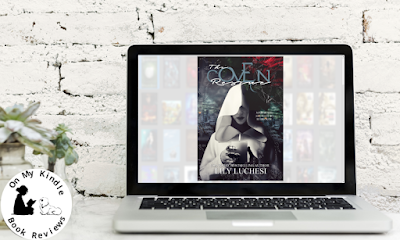 With peace restored in the Coven once again, Harley Sinclair is more than ready to turn twenty, leave her teens behind, and start moving forward from all the heartbreak. But paranormal law enforcement captures and imprisons her boyfriend, and she will do everything in her power to get him back. Alongside her half brother, her cousin, and her father, Harley's going to test the limits of her powers and fight against the company who controls all paranormal creatures. 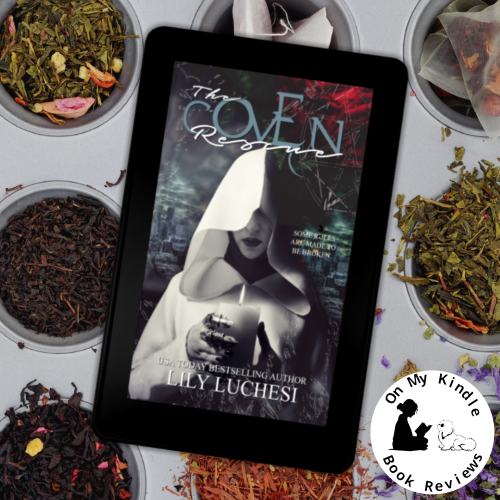 When she uncovers a plot so dark, masquerading under the guise of the Light, she finds that there is even more at stake than one man's freedom. 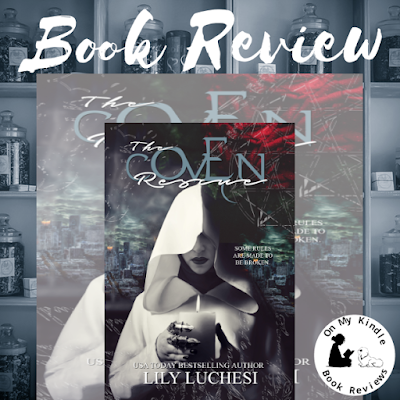 The fate of the Coven is once again left in her hands, and this time she's not sure she can win. 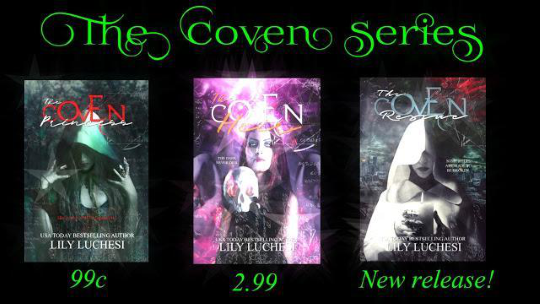 You'd think a witch would deserve a break after fighting in two wars to eliminate the threat to her Coven; however, Harley's shifter boyfriend has gone and gotten himself kidnapped by a secret organization that collects paranormal beings. Harley, her father, her brother, and her brother's boyfriend come up with a plan to rescue him. However, rescuing him opens a can of worms and the crew decides to take down this organization that is illegally imprisoning and breeding paranormal beings. There is so much to love about this book, I'm not sure where to begin. Let's start with the most obvious element, the fact that Harley is rescuing her boyfriend. While switching or ignoring gender roles is a concept that indie authors are embracing, it's still a novelty of sorts and I love seeing this concept emerge more frequently in literature. Of course, Harley herself is a bit of an enigma in the literary world in which female characters cannot be strong and vulnerable at the same time; a notion that Luchesi thumbs her nose at in this series. Don't even get me started about Harley's ex-boyfriend, James. He's an abusive asshat who finally gets his comeuppance in this book, which is part of Luchesi's signature style, but I'm not going to say any more about this because I don't want to spoil the book for you. There's another, more subtle element in the plot that I really appreciated. After Harley's boyfriend is rescued, he exhibits some symptoms of PTSD because of the torture he endured and witnessed during his imprisonment. I thought the matter-of-fact way that this was addressed normalized the condition. It's as if the characters in the book are saying, "Considering what he's been through, it's to be expected." It was a nice touch that I appreciated on a personal level. The setting, characters, and plot have some "Harry Potteresque" qualities. It's apparent that Luchesi was inspired by the series, but the differences are numerous, obvious, and unique. Besides, Luchesi focuses more on character building than world-building, and her characters are more edgy, snarky, and dark. While this is still appropriate for young adults, I think adults who enjoy young adult fantasy, or "borrow" their teens' books will appreciate it as well. Harley was suddenly feeling closed in, and the air in the room was oppressive. Knowing the signs of sensory overload, she needed air. Skirting around the room and avoiding the dancers, she spotted a little balcony and slipped outside, closing the door behind her. She took a deep breath of the cool night air and closed her eyes. She was ashamed of herself for acting like a silly little girl. I told him I didn’t want anything exclusive, I told him I didn’t want to dance. So I have no business being upset. “Then why do I feel like someone punched me in the gut?” she whispered aloud. The door to the balcony slid open and she jumped, and her mind automatically made her think it was a threat. Magic sparked in her hand until she saw that it was only Caelum and she took a breath. “I saw you leave. Are you okay?” he asked. His golden eyes shone brightly in the darkness. Caelum sighed, running a hand through his hair. “Maybe I haven’t been clear enough, Harley. I don’t want their attention. I want yours, undivided and intense.” He walked closer, and she braced her arms against the wrought iron of the balcony, the cool metal soothing her anxiety as she felt it through the sleeves of her dress. He cocked his head toward the window. “They can all go to Hell for all I care.” His hands covered hers on the iron balcony and he pressed his lips down on hers lightly, just a quick brush that sent shivers down her spine. He leaned down and kissed her again, and this time she believed him. That night, Caelum couldn’t sleep. He kept thinking about Harley, how sad and alone she had looked out on the balcony. He hated himself for letting her feel jealous. Initially he had only danced with Kimberly to get some emotion out of Harley, but it had backfired on him. He wanted to ignite her passion, not her sadness. He got out of bed and went to his living room, where there were pictures of the people he’d loved on the mantle above the fireplace. One of them was him and Draven, taken by Daphne the night Draven had proposed to him. Draven’s head was on Caelum’s shoulder, his arm draped across the other one. Neither of them were smiling, but they both had stars in their eyes. “Draven, I’m sorry,” he said softly. “I don’t mean to hurt people, but it seems that’s all I’ve ever done. When Nick told me you were gone, I thought I was going to die … again. Being with her, with Harley, is the only time I don’t feel like there’s a knife in my heart. But I seem to be doing everything wrong. Fangs was his nickname for his half-vampire fiancé. Only he was allowed to call Draven that, and Draven had always blushed prettily every time he did so. Caelum knew he wouldn’t be able to sleep that night. It was a sad side-effect he’d had since he was young. When he knew people were disappointed in him in any way, he’d get terrible insomnia. It was because of his perfectionist parents, that he knew, but it had a lasting effect on him. He dressed and decided to go to the castle library that night and get ready to go and find faeries. At least that sounded like a fun job to do. The walk wasn’t very long, and it was so quiet he could hear the small critters in the forest nearby, the sound of the wind in the castle battlements. His lynx abilities had always made him able to see, hear, and smell better than an average wizard, and many times they had saved his life. Nights like this one, they helped calm his nerves. He walked slowly, along the forest edge, and breathed in the clear, crisp night air. There was a noise and he paused, head cocked as he let some of his animal instincts take over. Faeries and elves talk, he thought. I wonder if any of the elves would be willing to answer some questions? Unless they remember me. Then they might bite. As boys, he, Michael, and Robert Ainsley had terrorised the elves, chasing them and performing practice spells and charms on them. Elves lived for centuries, but perhaps they wouldn’t recognise him. It was worth a try. “Lux,” he cast, sending light ahead of him to light his way. He made sure not to make it be too bright, lest he scare the elves off. Leaves crunched under his feet, and he breathed deeply of the beautiful scent of the forest. Magicians were most comfortable in nature, which was why so many Covens were in out of the way places like this one in Scotland. He remembered taking a trip to Chicago to visit the Grand Coven there when he was a boy with his parents. He’d hated it. It was all high steel and stone, pollution and violence. Maybe American magicians were different. He wandered off the main path, as he knew elves were unlikely to linger where many humans walked. His generated light was just enough to see so he didn’t walk into a tree or trip on a root or fallen branch. Despite the twists and turns he took off the path, he knew he wouldn’t get lost. Shifting into a lynx would help him return back to the Coven without any hassle. There was a noise up ahead and to his left, so he walked that way. “Hello?” he called. “Anyone there?” If it is a bloody deer, I’m going to be mortified. A giggle. Did elves giggle? He knew faeries did, but if there were any faeries in here, he’d see them sparkling in the near blackness of the forest. “Hello?” he called, sterner this time. “I’m not here to hurt you, I just want to know if you’ve seen any faeries lately.” Elves were talkative and helpful, which was why the UK PID often used them as couriers. The problem was, they had to trust you first. If they didn’t, they could play deadly pranks until you succumbed in the forest. At least, that was the lore. Caelum had no idea if it was true or not, but tonight was not the night to take any chances. The good angel on his shoulder, which sounded quite like Draven, was telling him to turn back. The evil angel, who sounded suspiciously like Michael, was telling him to keep going and see who or what was giggling. I have seen too many human horror movies to think that this is a good idea, he thought as he continued on, toward the sound. “Scaip,” a little voice said. It was soft like a child, but had a gravelly edge that set Caelum’s teeth on edge. It was a spell, that much he knew, but it was said in Gaelic. While Gaelic spells were an optional class at the castle, he hadn’t taken it. Latin was good enough for him. His light spell dispersed at the utterance of the word, and he was left in nearly pitch black darkness. A shiver went down his spine, and he heard leaves rustling as something, or some things, moved closer. “Lux,” he cast again, sending the ball of light high in the sky to illuminate more of his surroundings. When his eyes adjusted to the light, he immediately wished he had stayed in the dark—literally. In the trees, on the ground, all around him, were dryadali, the evil imps created by Robert Mor Munro when he subjected elves to Dark magic. Dryadali made whomever locked eyes with them relive a repressed memory, usually one that was frightening or generally unpleasant. When the victim was good and scared, lost in their own mind’s Hell, the dryadali would eat them. Caelum swore under his breath and shut his eyes, but that would do him no good if he couldn’t see to fight them off. “Argentum ferrum,” he cast, sending shards of silver flying in every direction he could. Silver killed most evil creatures, and the evil elves were no exception. The silver hit a few of them, but there were at least eight more waiting to devour him. He needed a better game plan, and he needed one quickly. “Ego beatus,” he cast, a protection spell which helped guard one’s mind from the dryadalis’ magic. He repeated it, feeling his heart beat in his throat. A grown person, speaking a known hex. It was a male, but that was all Caelum could gleam. He couldn’t see where the man was, or know why he’d hexed him. Caelum fell on his back and looked up into the glowing, large red eyes of a dryadalis. Oh no, he thought, as the Dark magic consumed his mind. 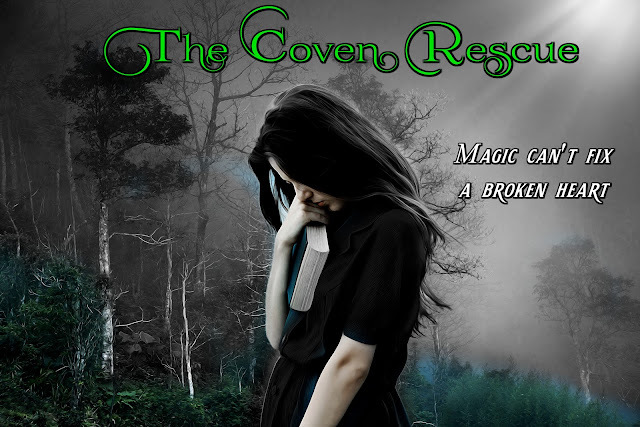 Find The Coven Rescue Online! 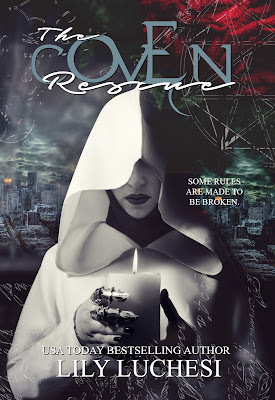 She is also the editor, curator and contributing author of Vamptasy Publishing's Damsels of Distress anthology, which celebrates strong female characters in horror and paranormal fiction.